← Which country makes a better malted milk ball? 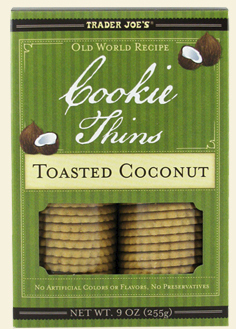 Trader Joe’s Toasted Coconut Cookie Thins..You’ll like them… really, really, like them! If you’re a coconut freak, like me, then these are for you! Crispy thin cookies with the most heavenly coconut flavor. Perfect by themselves, they’d be great with any sorbet, or maybe a thin chocolate frosting layer. I imagine that they’d make an awesome pie crust for my favorite coconut cream pie. Imagine a little dollop of lemon curd on a thin, and topped with a fresh raspberry. There you have it, a sophisticated dessert for tea….you can thank me later. 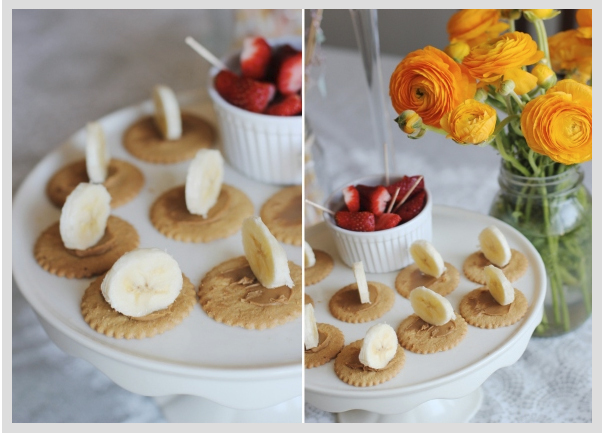 I don’t have a photo of my recipe idea, but here’s one from the blog Completely Smitten. Scroll down to see the post. It’s fun blog, so check it out. The only drawback is that I could eat way too many at once. I only bought one box of these, what was I thinking?! Posted in coconut, Cookies. Bookmark the permalink. Coconut cookie thins made into pie crust for a chocolate coconut rum pie!!! To die for!!! Wow, that sounds amazing. I need the recipe.